Online backup is gradually becoming a vital aspect for both commoners as well as entrepreneurs. Looking at its widespread prominence across the globe, several file backup service providers are coming to the fore to serve your individual needs. It allows you to keep all your crucial records at one place with extreme security. Keeping in mind the importance of online backup, we are presenting to you the best online backup providers of the year 2018. It will significantly help you in choosing the best option among all. You can find a detailed review about these top brands along with complete information about online backup a.k.a cloud backup hereunder. Backblaze is an online backup tool that facilitates users to store their photos, videos, documents, files and more in an off-site data center. It is compatible with Windows and Mac only. It was launched in 2007 with a vision of transforming the online cloud backup industry. 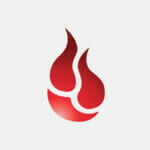 Backblaze has divided its services into three categories i.e. Personal Backup, Business Backup, and B2 Cloud Storage. It has a range of pricing plans in each category. This online backup provider gives optimum customer support. MyPCBackup is a promising name in the online backup world. It offers multiple features and options in the hands of users to secure their digital lives. MyPCBackup takes data security very seriously and hence provides highly advanced encryption level and protocols. MyPCBackup has free apps for iOS and Android devices to allow mobile accessibility. To assist its customers, MyPCBackup has arranged for 24/7 customer support. There are no file type restrictions with this online cloud backup provider; you can store any file. 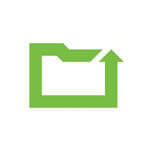 CrashPlan is one of the comprehensive online backup providers. It is facilitating hundreds of thousands of customers throughout the world in a cloud-based backup market. It aims to protect the digital life of its customers and make it readily available via an extremely secure, automatic and continuous online backup process. CrashPlan offers a free account to backup to local hard drives and trusted computers and has pretty affordable pricing packages. SugarSync is a renowned online backup company. Like other cloud data backup, it enables users to store every aspect of their digital life in a highly secured environment and access it anywhere on any device. 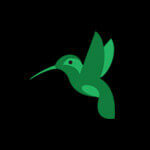 SugarSync has different pricing plans catering the needs of diverse users – from individuals to businesses. All pricing packages of this online backup provider come with a 30-day free trial. It is compatible with multiple operating systems and devices including Windows, Mac, iOS, Andriod and Linux (limited). Mozy, an online backup venture, is part of Dell. Mozy was introduced in the market in 2005. It serves individual customers and businesses alike. Mozy has three products, namely MozyHome, MozyPro, and MozyEnterprise. Each product is designed to cater a different segment of the target audience. Mozy online cloud backup services include secure encryption during backup, transfer, and storage of data. Mozy is compatible with Windows, Mac, Linux, iOS and Android. Mozy has an efficient team of customer support that’s available 24/7. How can you buy online backup services? The service of online backup is quite similar to the web hosting solutions. A web host requires you to pay the rent for the space that it provides for your running website. Similarly, the leading backup service providers offer you sufficient space on their servers to keep your files safe and secure. You may have to pay a nominal fee, either annually or monthly to keep all your personal data on a secure platform preventing it from any kind of outages and failures. These backup solutions can turn out to be extremely beneficial not only for different business aspects but also for the commoners and can tremendously affect your tables. What you exactly need to do is to find the best-suited solution from a gamut of online service providers. Here, you can find a quick answer to the question, why cloud backup has become a necessity. How the backup companies can act as a blessing for you? What is the need for an online backup solutions? It is a common belief of numerous individuals that a hard drive is sufficient to keep the back up of your extensive data. However, there are chances of it getting lost, fail, or damage like any other computer hardware that many people generally do not realize. This facilitates an urgent requirement of keeping minimum two backups of all your important files. It may comprise an on-site back up at your office and the other off-site backup at home with the help of cloud services. The most significant advantage of keeping a online backup off-site is to ensure the safety of your data from fire, theft or any other emergency. An online service of cloud backup is just like traditional software for backup. It transmits all your crucial data on the internet and stores it securely on a professional server. According to a US observation, hard disk storage fails at every 1.24 seconds. According to the studies of SBA (Small Business Administration) and FEMA (Federal Emergency Management Agency), about 25 to 45 percent of businesses never reopen after any disaster occurrence. The 2013 report of Aberdeen group reveals that 70 percent companies that go through natural disaster merely survive for a year. However, only 6 percent companies show a long-term survival in the report. The Quorum 2013 report shows that 55 percent of downtime is an outcome of hardware failure. However, 22 percents results due to human error while 18 percent arises due to software failure. 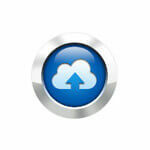 What are the advantages of using online cloud backup services? Global accessibility: As the term online backup suggests, all your data and files are available in cloud. It allows easy access to your data from anywhere in the world. The reputed backup companies also offer the services of mobile access for your utmost convenience. Irrespective of the device you have or the location you are, you can access you data anytime. You just need to sign in to your online backup account before accessing your files. Encryption: A well-suited online backup service ensures strong encryption and security of your digital data. Considering the confidentiality and sensitivity of the information, an online service provider offers you affordable measures to prevent any kind of unauthorized access. As compared to other cloud storage devices, the most sophisticated cloud backup offers the encryption of 448-bit blowfish. It guarantees maximum level of protection and security for your data. Easy synchronization: With a reputed online backup provider, you don’t have to worry about the data synchronization. It promises to offer automatic backup of your valuable information thereby ensuring continuous protection of data. It also allows automatic updating of data on the server as soon as your system files changes. Unlimited storage: A cloud server offers unlimited space for you regardless of the volume you want to back up. Whether you are a small/medium business owner or an average user of PC, you can easily rely on an ideal firm of online backup for your individual requirements. There are possibilities that companies may charge more for abundant data while comparably lesser in case of limited data. Safe and Secure: The leading online backup services promise to offer 3-way protection to your data that maintains its safety and security. The primary stage involves encryption of data on your personal hard drive with private key of encryption. It will make your files scribbled for others. The second stage involves sending of your files to online cloud backup services through SSL connection. It protects your data from spying during the transfer. Lastly, your data encrypts on a professional server that promises its secure residing. Cost-effective solution: You are equally fortunate when we talk about the prices of best backup services. Obviously, a cheap backup solution will attract you more than a costlier one. As per your specific budget constraints and backup requirements, you may choose from any of the top five services. However, for smaller volume of data, you may also opt for the free services of backup. Online backup acts as an insurance for the individuals as well as businesses. It protects your entire data from getting lost in any emergency. Just like any other health or life insurance, you have to pay monthly fees for your data protection. In fact, it may cost only a small fraction of what you would pay for your sickness. Of course, you can only benefit from such services if you acquire them timely. Looking at the availability of numerous devices and huge leaps of data, the need for digital data is rigorously increasing. Depending on the total volume of data that you deal every day, you would require an ideal backup for its efficient management. Are you still waiting for a suitable time to consider online cloud backup? If yes, then the time is now. Obviously, it will become extremely late if you have lost your important files. Fortunately, the leading online service providers of backup are available at inexpensive and economical prices. You can ideally find solace with such services in terms of security, sensitivity, and confidentiality of data. 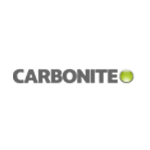 To help you take a smart initiative, you can consider multifarious online backup service providers such as Backblaze, Carbonite, IDrive, CrashPlan and more.